For Palmer Overstreet, there’s something odd about a run-of-the-mill armed robbery that he just happened into. For one thing, the robber seems more interested in shooting at Palmer, a bystander, than in emptying the till. But the robber ends up dead on the street, and Palmer is not sure who’s trying to kill him or why. 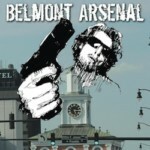 In Belmont Arsenal, Johnny Dagistino and now Belmont Arsenal police lieutenant Willie Smith team up to solve the mystery of who wants to kill Johnny’s enterprising first cousin, insurance man Palmer Overstreet. 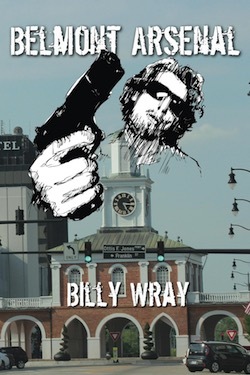 Evidence leads them into the dark world of itinerant Hispanic gangs, and they unravel a mystery that has been festering for years.